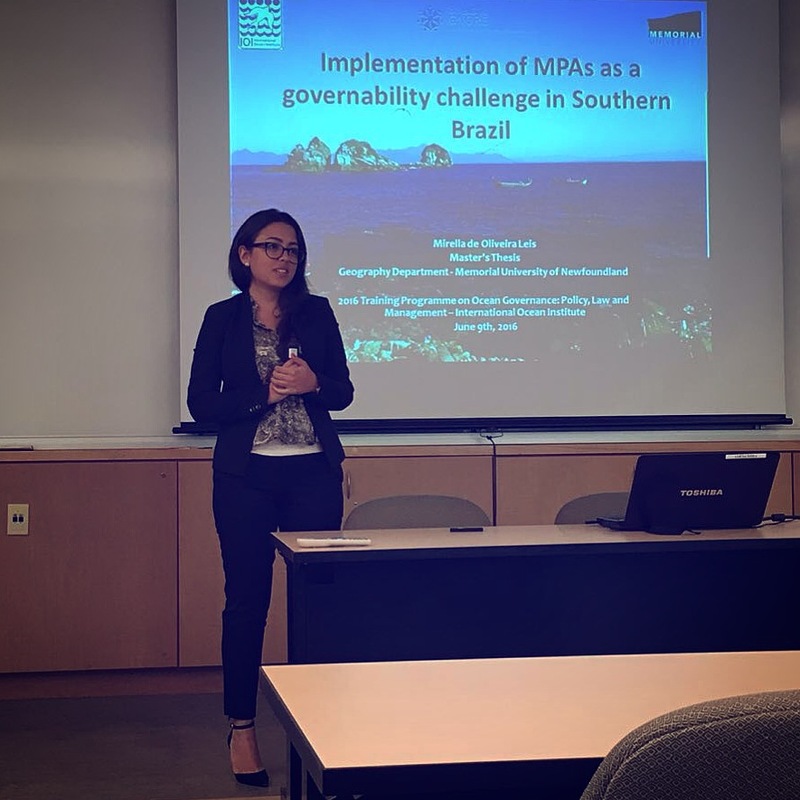 Mirella de Oliveira Leis, former TBTI MA student, with her collegues from the IOI Training Programme on ‘Ocean Governance: Policy, Law and Management’. Mirella is second from the left in the front row. On the morning of May 18th, 2016, I was entering a classroom at Dalhousie University after spending a few months in Brazil finishing my master’s thesis. The classroom’s walls were covered with colourful maps of the Canadian Atlantic provinces. A tag with my name and country was indicating my seat on a round table, next to people from Madagascar, Belize, Pakistan, and another nine developing countries. I was feeling anxious about what was to come, and determined to start as a participant at the 36th International Ocean Institute (IOI) Training Programme on “Ocean Governance: Policy, Law and Management”, being funded by CERC.OCEAN through Dr. Doug Wallace. During the first week, we had an orientation and introduction to the training programme, and were challenged to reflect on the question: “What is Oceans Governance?” by the end of our first day. This question would follow me throughout the course, while I was gaining a broader understanding of what it actually meant. By the end of our first week, we were all immersed in a Simulation Exercise that would continue throughout the course. 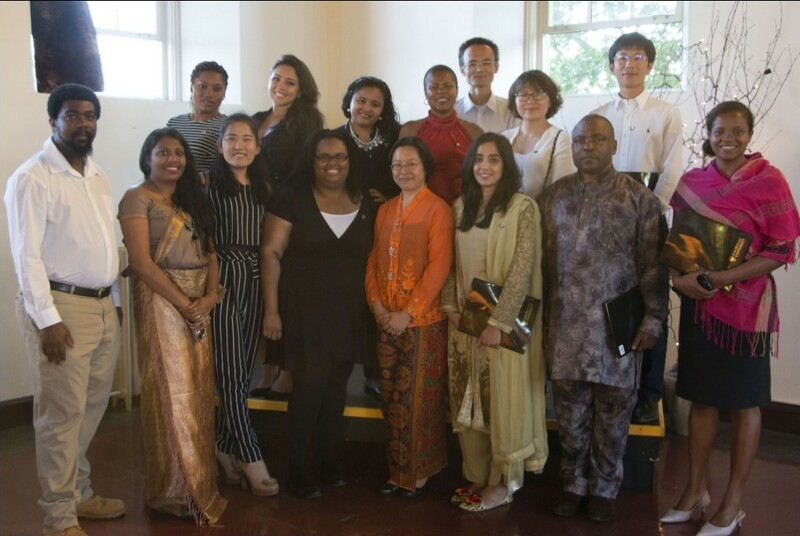 All participants from different nationalities suddenly became citizens of a “new country” called Antillia, and were designated decision-makers who had to find opportunities to tackle the coastal and ocean issues in the Ocean Policy we had to create together. That was the beginning of two months I would be spending in Halifax, which would sum up 200 hours in that classroom and outside during fieldtrips to various places around Nova Scotia..
Every summer, IOI Canada provides 15 young professionals from developing countries with the opportunity of learning more about ocean governance from more than one-hundred lecturers and from their classmates, who have a lot of experiences to share. I felt honored of being the only recent graduate there, willing to learn and experience as much as I could from all those knowledgeable people with whom I spent my days with. The IOI Canada Training Programme of which I was part is organized in ten modules, covering pressing issues related to Ocean Sciences, Integrated Coastal and Ocean Management, Fisheries and Aquaculture, Legal aspects, Communication and Negotiation, Maritime Security, Marine Transportation, and Energy. 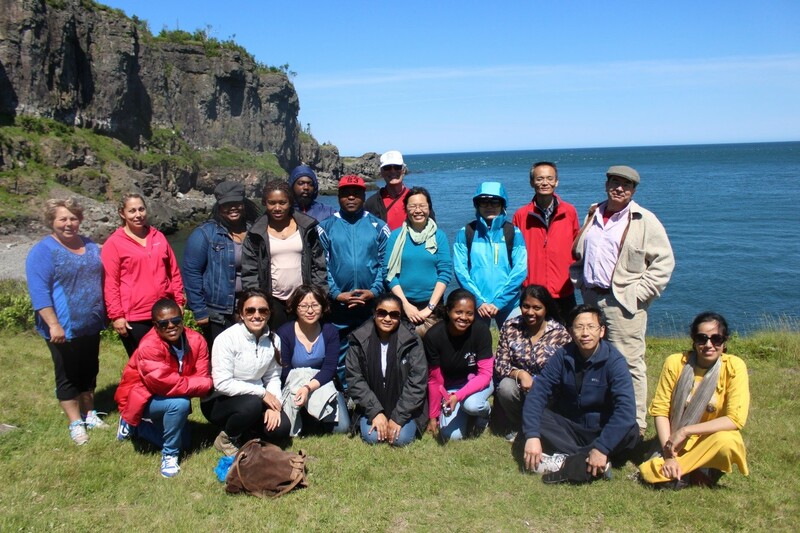 Field trips give participants a sense of who are the stakeholders and institutions involved in ocean governance in Atlantic Canada (e.g. the North Atlantic Fisheries Organization, local aquaculture farms and seaweed collectors), and of the complexities of the natural environment they have to govern, such as the Bay of Fundy. All different disciplines come together in the Ocean Policy document and presentation that are delivered by the end of the two months, when participants are challenged to defend their interests under their role as Ministers of Antillia by an international round table with experts in the field. .
As a 26 year old woman from a developing country where many issues are yet to be addressed on coastal and ocean governance, I was eager to be part of this training programme to become a well-rounded young professional with the necessary knowledge and experience to deal with challenges that arise from balancing marine conservation objectives and maintenance of fishing livelihoods. As an Oceanographer and recent graduate of the Master of Science program in Geography at Memorial University of Newfoundland, I have a keen interest in coastal and ocean governance in MPAs, which was the core element of my Master’s thesis research funded by Too Big To Ignore. This training programme gave me a great opportunity to broaden my understanding of global issues in ocean governance and network with people from other parts of the world, learning from their experiences outside of academia. .
During the training programme, I’ve learned about the most current issues in ocean governance worldwide, and about what has been done in terms of research, education, practice, entrepreneurship, and politics to address those. I’ve gained insights on the importance of education, outreach and communication to create information channels to wisely manage our coasts and oceans. The simulation exercise of developing the Oceans Policy for Antillia was useful to initiate thoughtful discussions among participants and make us realize that despite sociocultural differences, our home countries face the same challenges in terms of ocean governance. We learned together how to negotiate and make decisions at a much higher level than we are used to in our daily lives while in our roles as ministers trying to find ways of addressing coastal and ocean management issues. This different perspective helped us gain awareness on the difficulty of making the best decision with the information that is available in a short period of time. This experience will definitely reflect on my career in terms of the interdisciplinary skills I have gained, and the ability of working with a multicultural team while discussing common ocean governance issues different countries face.. The International Ocean Institute (IOI) is a world leading independent, non-governmental, non-profit organization conducting training and capacity building in Ocean Governance globally. The International Ocean Institute’s Training Programme in Canada on “Ocean Governance: Policy, Law and Management” takes place every year from May to July since 1981, when it was initiated by Elizabeth Mann Borgese. The course is organized in way to provide mid-career professionals from developing countries with a breadth of information on current challenges and opportunities related to governance of oceans and coasts worldwide. I highly recommend the IOI training programme to individuals who are interested in becoming ocean stewards.. If you are interested in participating at one of IOI’s training programmes, please check their website (http://www.ioinst.org/) for reports of past courses and information on how to apply to upcoming programs. The IOI also offers training in Malta, South Africa, Thailand, China, and Turkmenistan. The first training programme for Latin America and the Caribbean on “Ocean Governance, Ocean Sciences and Geoethics” is going to take place this year in Brazil from November 21st to December 9th in Pontal do Paraná municipality. Pre-registration is now open until October 1st 2016, and application forms can be accessed here. .